Joining processes in the automotive and household appliance industries require maximum process reliability and quality. 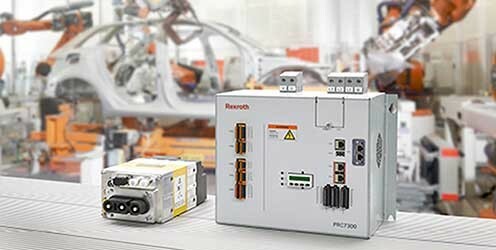 Welding controllers and transformers from Rexroth offer the user fast commissioning, optimized programming, control and monitoring functions, simple operation and high flexibility. 80% of the world's automobile manufacturers trust in the performance of Rexroth's spot welding controllers.